Anthony is thrilled be back at the Civic; this time in the role of Director. A Kalamazoo native, he received his Bachelor's Degree from WMU's theatre program in 2015. From 2015-2018 he worked as a student (FSU/Asolo Conservatory for Actor Training) and an actor (Asolo Repertory Theatre), while obtaining his MFA from Florida State University. Anthony made his Civic and stage debut at age 10 in our CYT production: Free to Be...You and Me. His return to direct Once On This Island marks a nearly 20-year relationship with the Civic. As a performer, audiences may remember Anthony from our productions of: Camelot, Anything Goes, 42nd Street, Ragtime, Godspell, Ain't Misbehavin', and Dirty Rotten Scoundrels. WMU credits include: Ruined and the title role in Bengal Tiger at the Baghdad Zoo. 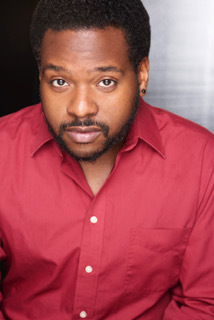 He also appeared in Superior Donuts at Farmers Alley Theatre, and Shenandoah at the Barn Theatre. Before shifting his focus to directing (at WMU), Anthony began choreographing while a student at Loy Norrix High School (under the leadership of master musician/teacher, Marie Kerstetter). "I am especially thankful to Marie for being the first to take a chance on me. I was 16 years old when she entrusted me to choreograph at Norrix. That was a pivotal moment in my life; it provided the framework that would ultimately lead to my interest in directing. Thank you Marie!" Following four consecutive years as choreographer at Loy Norrix, Anthony had the privilege of directing / choreographing at many of the local high schools (Portage Northern, Kalamazoo Central, Hackett Catholic Central). "The Civic has meant a great deal to me, dating way back to my very first show in the Parish. I learned the craft here; I grew up here - my experiences at the Civic prepared me for such a time as this. I'm grateful to Tony Humrichouser, and the Civic for this opportunity to stage a show that explores the enduring power of love, hope & faith. Once On This Island is one of my all-time favorite musicals, and I'm so excited to be doing it with members of this community."